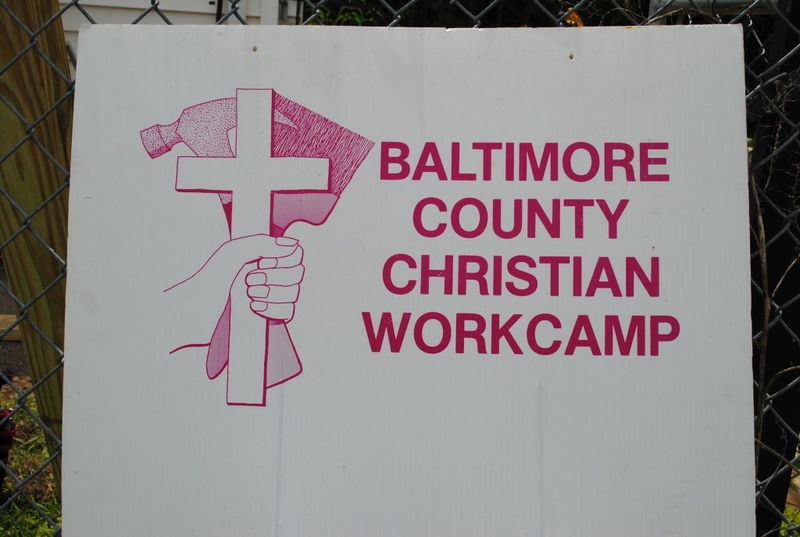 The task of Baltimore County Christian Workcamp (BCCW) is to share the love of Christ by assisting limited-income families in Baltimore County with home improvements. The mission is one of Hunt’s major outreach projects and one of the oldest. Hunt’s has supported BCCW since its founding in 1984 by two Methodist pastors. Since 1993, the work camp has been based at Hunt’s Church. Each year, 150-250 volunteers of all ages repair and improve over 50 houses in Baltimore County. The workcamp is usually held during one week in July and on a limited basis the rest of the year. BCCW is a “commuter’s workcamp” where you can commit to working as little as one-half day and sleep in your own bed at night. Workcamp week begins on Sunday at Hunt’s with a planning meeting, kick-off dinner, silent auction to raise funds, and an orientation video. On Monday morning, volunteers gather at Hunt’s to enjoy breakfast prepared by Hunt’ church members, make bagged lunches, and then set off to their respective work sites. From Tuesday thru Friday, participating churches prepare breakfast and bagged lunches at Hunt’s. Volunteers choose their site and the type of work. Some churches bring entire work crews and preselect their sites. Hunt’s assembles a crew and selects one or more sites. Hunt’s members may elect to work on a “Hunt’s” site or choose another site. Registration is required. Because Hunt’s has a special offering for BCCW, Hunt’s members pay no registration fee. All types of repairs – plumbing, electrical, carpentry, ceilings, walls, roofs, porches, steps, insulation, general clean-up, interior and exterior painting, caulking, ramps, yard work, and more – are tackled. Each week night a different church hosts and prepares dinner for the volunteers. A wrap-up event, ending with communion, is held on Friday. For more information, check Hunt’s Missions bulletin board or contact Glenn Keatts (Hunt’s crew chief) or Steve Lippy (BCCW secretary and Hunt’s liaison with BCCW). Below are Photos from this past year’s participation on two projects with Baltimore County Christian Work Camp.